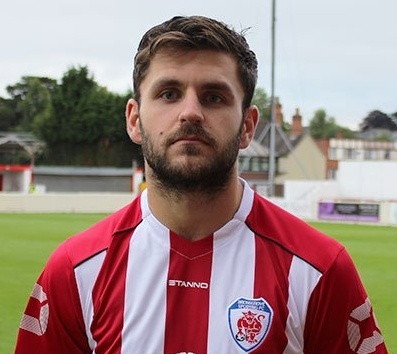 Bromsgrove Sporting captain Craig Jones writes for The Standard in his final column of the season, reflecting on a truly remarkable 2017/18 campaign. After the most successful season in the club’s history last year, we’ve bettered it this year and I speak for all the lads when I say we are excited to see what’s next. To achieve what we’ve achieved this season is remarkable. A league title with games to spare, the Worcestershire Senior Urn and perhaps most importantly an ever increasing support base. Success breeds success and hopefully we can continue this moving forward at Step Four. Thanks to the new management team who backed the lads and stepped up during a tough time. From a personal point of view they’ve showed huge faith in me and for that I’m grateful. Thanks to all the volunteers behind the scenes who do the jobs that most wouldn’t. Our club couldn’t run without you. And lastly but mostly, a massive thanks must go to our fans who have been incredible this season, home and away. You really are our 12th man. There will undoubtedly be comings and goings over pre-season, but this club we love will continue to grow and succeed.